Do you love the southwest? That is where we live. We live near Sedona, AZ. and our art has been influenced by all of nature and experiences we are having here. I started beading long before moving here but the Southwest really opened me up to a whole new world. John and I have been involved in many artist community events and Native American tribal ceremonies that have been so very interesting . Many stories have been told around the fire and our kitchen table with people from all over the world. The beautiful red rocks and magic of this area is known far and wide. People travel from all over the world to enjoy the beauty and magic of Mother Earth here. When we did art shows some years ago we met people from all walks of life and from all over the world. This is one of my many bead work rosettes I have made. This beaded rosette is done in beautiful southwest colors. The thunderbird is considered a supernatural being of power and strength. It is especially important, and frequently depicted, in the art, songs and oral histories of many tribes. 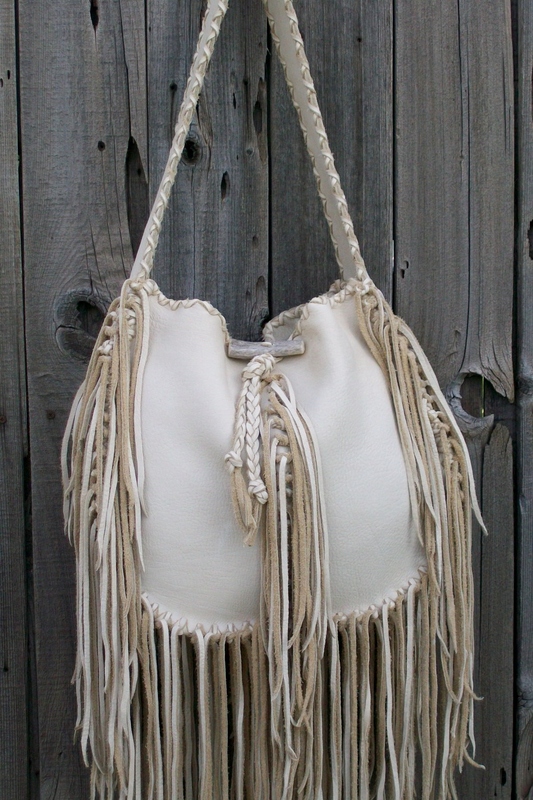 This leather tote is a great size for an everyday bag. It measures 10 inches tall x 10 inches wide and 2 3/4 inches deep. 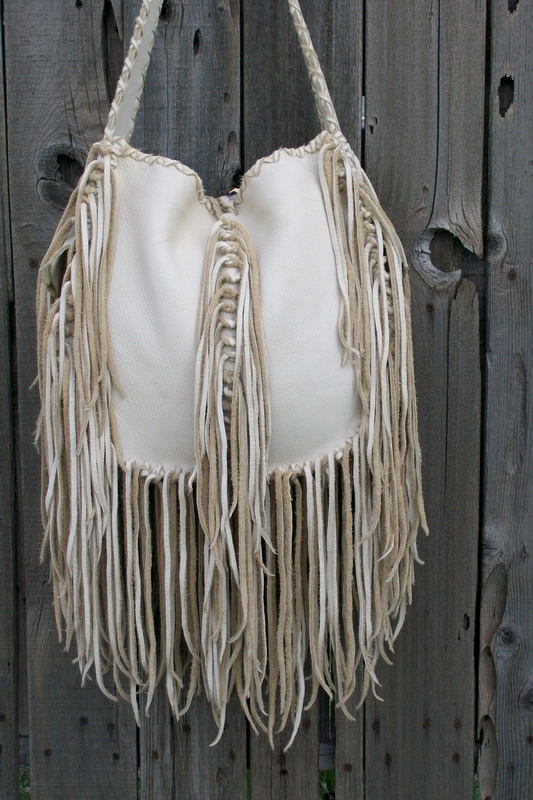 It has long tied fringe down the sides and they are decorated with turquoise blue glass crow beads. 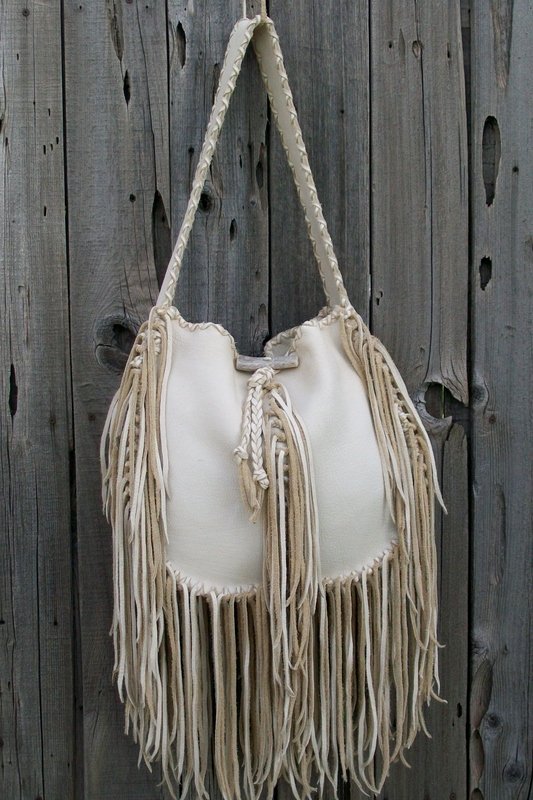 It has a antler tip closure at the top and a comfortable flat strap that can be worn crossbody or over your shoulder. 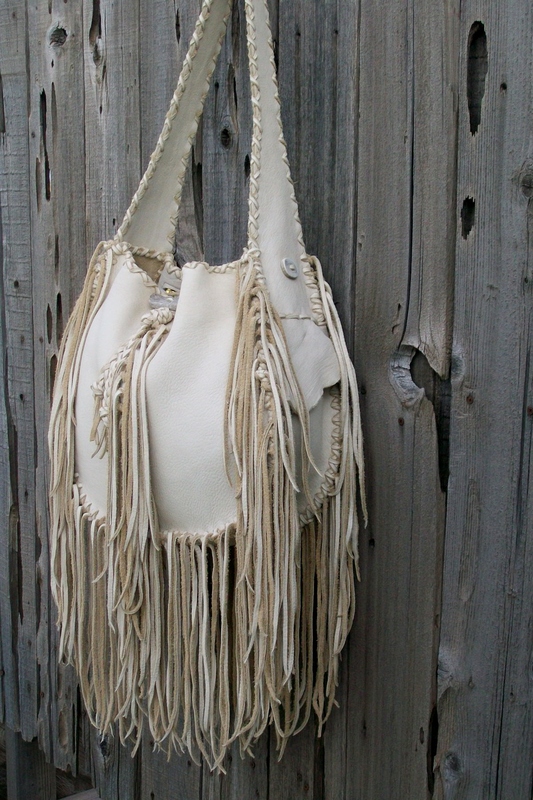 Our leather and bead work is mostly custom , made to order so we can get your bag just right for you. We can make it in any color of leather you see in our shop or in our color chart. Come by and talk to us anytime. It’s sure is a beautiful day and fall is right around the corner. We are feeling the cooler temperatures in the nights. What a blessing!